These cute nativity scene designs are sure to add Christmas spirit to any creation. 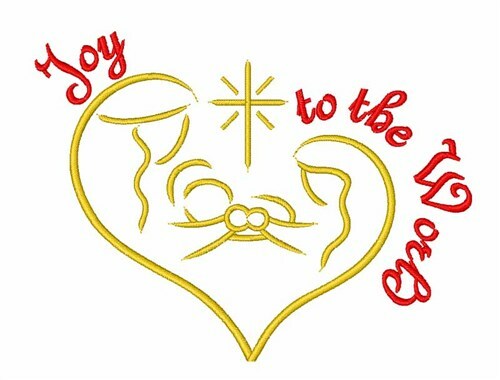 Satin Stitch is happy to present Joy to the World Nativity machine embroidery design which has 5481 stitches and is [118.40 mm x 88.78 mm] large. If you would like to view more embroidery patterns please search on our embroidery designs page.